The US will devote $700 billion to its budget for 2018, dwarfing Russia’s $66 billion effort, a trend that has been consistent for more than 25 years. Yet Russia’s military has been relatively successful in recent conflicts, while the US armed forces have not. American wars in Afghanistan and Iraq became multi-year quagmires, in comparison to Russia’s rapid victories against Georgia and Ukraine. Russia’s military is certainly weaker than that of the US, but ill-fated decisions across multiple administrations have steadily undermined American power. The short-lived US intervention in the Libyan civil war was also another mistake, whereas Russia’s long-term intervention in the Syrian civil war is expected to eventually pay for itself. Russia’s military is certainly weaker than that of the US, but ill-fated decisions across multiple administrations have steadily undermined American power. The war in Afghanistan, soon to enter its 18th year, is the longest-running conflict in American history. US-led forces managed to root the Taliban out from the country’s major cities, but have since been locked in guerrilla fighting as the Taliban still controls or contests much of the rest of the country. During the 2003 invasion of Iraq, American forces rapidly defeated the Iraqi army. After being told they would be greeted as liberators, the US quickly found itself trying to contain the beginnings of an ethno-religious civil war. As the US military’s role changed to occupying Iraq and quelling an insurgency, American policymakers attempted to build a functioning democratic government. Yet the task of nation-building proved impossible, leaving a deeply divided Iraq with a government that is now heavily dominated by Iran. Contrast Russia’s experience. In 2008, it launched a surprise invasion of Georgia, a small country on its southern border. Georgia’s two secessionist regions, South Ossetia and Abkhazia, worked quickly with Russia’s military to declare and secure independence. The war officially lasted less than one week, as Russian forces quickly overwhelmed Georgia’s army. Georgia had expressed frustration with Russian attempts to foster secessionist tendencies within the country in the years before the war. Both South Ossetia and Abkhazia fought wars of independence against Georgia in the 1990s, meaning Russian forces were largely welcomed as liberators. By effectively cultivating a conflict over time, Russia quickly overwhelmed Georgia when it was caught off guard. Multiple Russian military bases now dot Georgia’s former territories, indicating the Kremlin’s plans to stay indefinitely. In 2014, Russia annexed the Crimean peninsula from Ukraine, after a political crisis brought down its pro-Russian government. Crimea’s population is mostly ethnic Russian, and thanks in part to effective Russian propaganda, they too welcomed the Kremlin intervention. Like in Georgia, Russia’s military was quickly able to overwhelm local government forces, with the support of Crimea’s population. But after annexing Crimea, Russia also helped launch an insurgency in Ukraine’s east. Much of the region’s population is also ethnically Russian, and local militias answered the Kremlin’s call to arms. 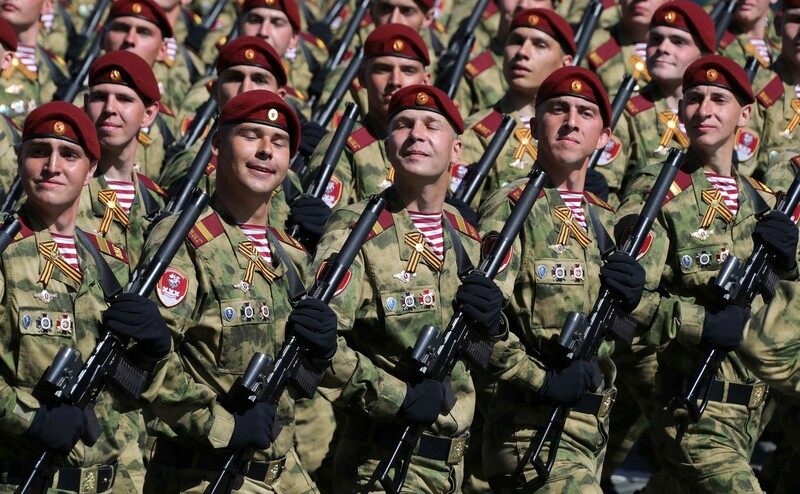 They are given direct support from the Russian military, which has created a hybrid paramilitary-guerrilla force that Ukraine has struggled to suppress. Four years ago, a civilian passenger jet was brought down by a Russian missile launcher smuggled into Ukraine, before being returned to Russia. It brought international condemnation against Russia, which continues to deny involvement in the tragedy, as well as in the war itself. The upshot of what are now frozen conflicts in Georgia and Ukraine is that neither country has been able or eligible to join NATO, much to the delight of the Kremlin. In the past few years, both Russia and the US have intervened in civil wars in the Middle East. American forces succeeded in helping topple Libya’s government during the 2011 Libyan civil war, and avoided putting boots on the ground. But in the aftermath, Libya has descended into a failed state, also dividing NATO members, spurring a migrant crisis in Europe, and leaving questions about US motives and what plans existed to bring the conflict to a resolution. Russia’s ongoing intervention in Syria is similar to that of the US in Libya, in the sense it has mostly used its air force and navy to help turn the tide of a civil war. One important distinction is that Russia intervened on behalf of Syria’s government after it was close to collapse. The Syrian government has since regained much of the territory it had lost. Russia did not seek to build a nation, nor did it try to control an insurgency. Both are ultimately the responsibility of Syria’s government, whose survival is dependent on Russian military support. Because of this, Russia is the country set to gain the most from the Syrian civil war, having already been granted a permanent naval and air base in Syria, and standing to reap the bulk of business deals once reconstruction efforts can begin. 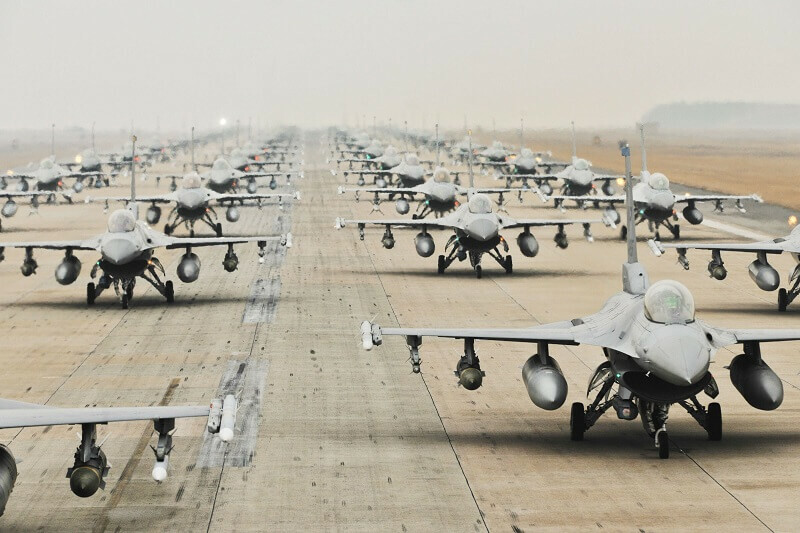 When compared side by side, the US armed forces are undoubtedly superior to those of Russia. Yet when comparing how they have been deployed in recent conflicts, Russia’s military has fared better and generated more favourable outcomes. The Kremlin deployed overwhelming force against smaller neighbours, before consolidating its gains with local support in Georgia and Ukraine. The US invaded countries thousands of kilometres away without an exit strategy, and was forced to deal with two insurgencies with a military unprepared for that method of conflict. Russia’s Syrian intervention similarly worked for the Kremlin because it let the Assad government deal with the insurgency, backed by the vital support of Russia’s high-tech military equipment. The American intervention worked in Libya, in the sense of supporting the overthrow of Gaddafi, and was able to prevent mass atrocities from occurring. But the intervention led to friction within NATO and the EU, while the US’ departure from Libya resulted in more violence. Far from being superior to the American military, Russia’s armed forces have been able to better adapt to modern warfare – conflicts often characterised by non-state actors and insurgencies. US administrations will also need to adapt to this reality if they are to avoid repeating past mistakes.